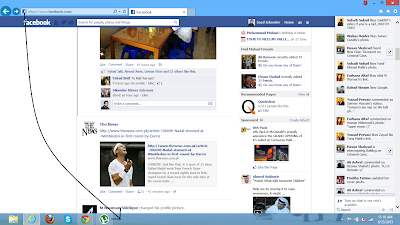 How To Get Your Facebook Notifications On Windows Taskbar? As Facebook addiction keeps on proliferating, new ways and schemes have been devised to bring out an even better user experience. Ever thought about receiving your Facebook notifications on your Windows taskbar? Yes, this is indeed possible without any kind of software installation like the Facebook Messenger. 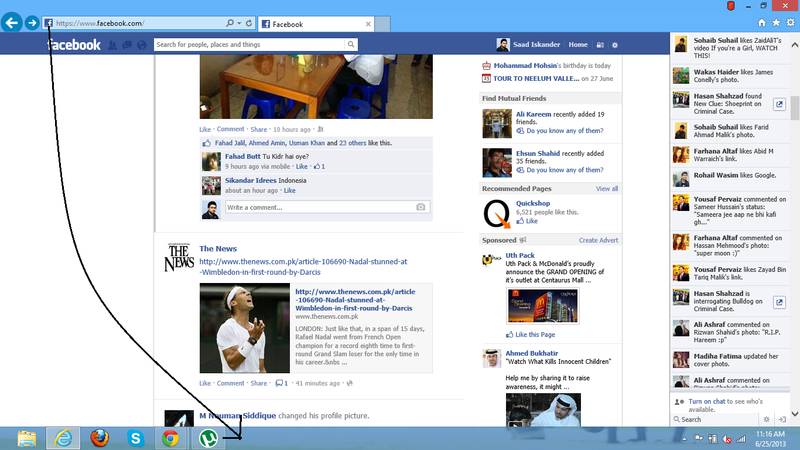 You can now pin your Facebook on the taskbar to receive real time Facebook notifications without having to open facebook.com exclusively. Before you begin with the actual procedure, you need to have a check on the version of Internet Explorer you are currently using. 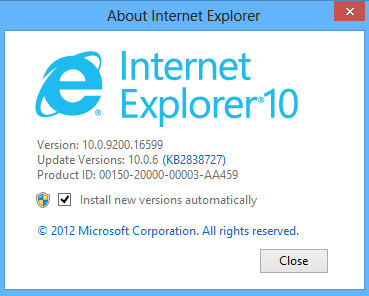 The correct recommendable version is IE 10. Although its predecessors might pin Facebook down the taskbar successfully but the required performance of delivering the real time notifications is doubtful. I was reading a related discussion forum this morning and there were numerous who complained about IE 9. Log onto Facebook using IE 10. As you log in, you will see a small Facebook icon on left side of the URL. Click on it and drag and drop the icon on the taskbar. As you can see in the figure 1.3 below, this results in a smart button of Facebook on your taskbar which will enable a few quick functionalities. 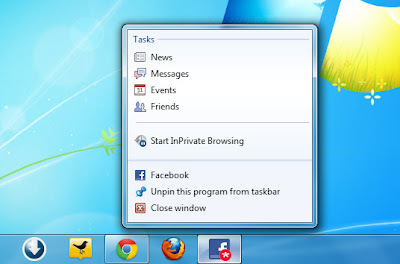 Here are the features that you can perform by right clicking on the icon you just pinned to taskbar. You can see this in the figure 1.4 below. You can directly check on the news feeds, messages, events going on Facebook. You can also see a red asterisk on the bottom of the icon. This appears whenever a new live notification arrives while you are not using Facebook on the IE. This will keep showing until the notification is pending and you don't click to check on it. There is one important thing that you need to keep in mind. You can pin many other websites this way but it will only work on Windows 7. If you try to pin Facebook or any other website this way on Windows 8 Operating System, you might not achieve the desired result. WordPress: What Makes It A Better Content Management System? 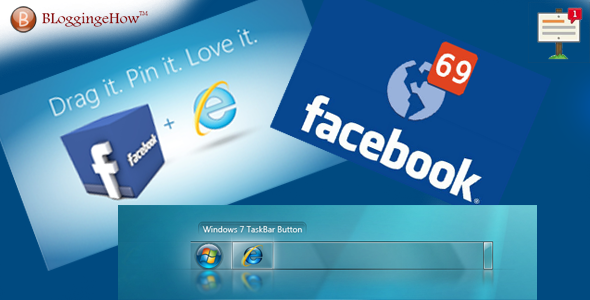 BloggingeHow | Making Blogging Simpler: How To Get Your Facebook Notifications On Windows Taskbar?